EXOTIC! 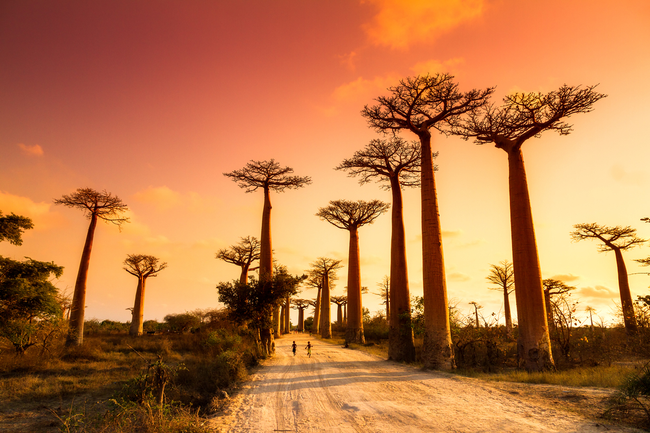 Flights from Spain or Italy to Madagascar from €479! 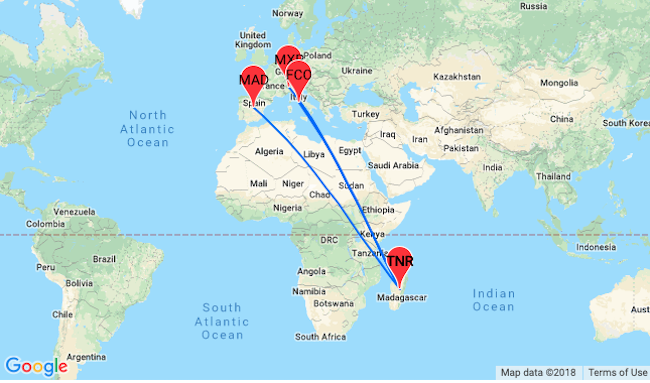 Cheap Ethiopian Airlines flights from Italy or Spain to exotic Madagascar! 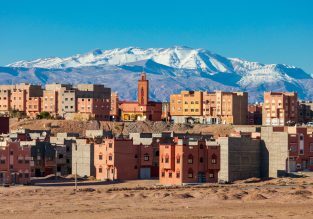 Book flights to Antananarivo from only €479! 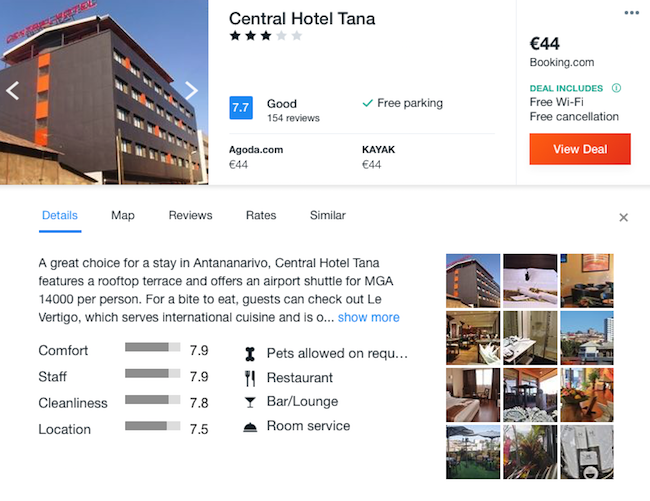 In Antananarivo we encourage you to stay at Central Hotel Tana with a good price and very good reviews. All rooms in the hotel are equipped with a kettle. Rooms are complete with a private bathroom and a flat-screen TV with satellite channels.